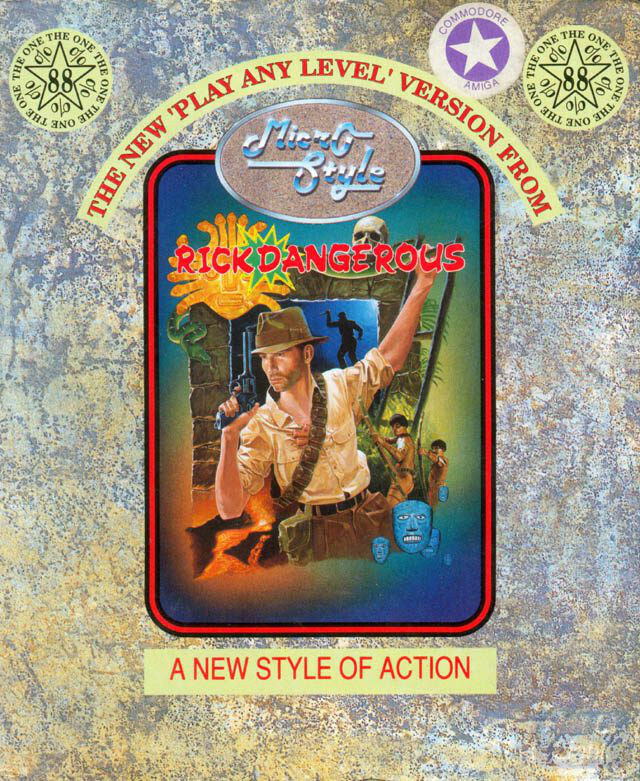 Did Rick Dangerous ever come out on disk? I am desperate for this game, used to love it. Why start a new thread when an old one will do! So I come across an article in AA60 page 60, and in it it says Firebird did a rerelease version with the ability to select what level to start from....... yes please! Erm anyone have the slightest clue about this revelation? I've never seen it. I had the bleepload version as well as one from a compilation that had a different loader. Neither had selectable levels. I've seen it written in a couple of blogs since, probably all got from the same RD2 preview article in the aforementioned AA60. Personally I think it was AA talking out of their arse again. It wouldn't be the first time in fairness, and don't get me started on how long they dragged Street Fighter II out for the sake of having something to print. Huh, bummer. Maybe I should write to them and make a complaint! Curious. Will take a look a that later. Looks like it relies on PPI differences in the Plus for detection. Making a derivative PPI device should be doable. UPDATE: I have this working locally, is there a list of games that are affected by the Plus PPI somewhere so that I can test it out further? I found only a few plus-aware games on a dsk image which during run-time switch into plus mode when a plus machine is detected, namely my mentioned Striker in the Crypts of Trogan. Prehistorik-II comes on a dsk image, too, but doesn't auto-detect the plus hardware but the user has to select it via menu. I'm looking for standard CPC games that are affected by the bugs in the Plus PPI implementation. I've come across Barbarian (I vaguely remember this one being mentioned a looooong time ago), but would still like to test more. Mercenary was one I remember buying that didn't respond to keyboard input on a Plus. I seem to remember Split Personalities was one game I loved but couldn’t play on my Plus. I recall my cassette of Midngiht Resistance making the tape motor click constantly when playing, the game itself, controls etc workled fine otherwise though. Do I remember correctly that the Plus PPI bug is to do with the keyboard scanning routine from old generation CPC not being 'by the book' on Plus so leaves button presses unresponsive? @TomEtJerry has a list of Plus-incompatible games on his site. Ah, this will be useful. Many thanks! I saw about 2 years ago a release i've never seen before: Rick Dangerous 1 big box by Microstyle (which published the 2nd one) as the 1st where initially sold by Firebird, dead in 1990. In front of this Microstyle release i read that was a new release allowing choosing the starting level like Rick 2 ! I'm afraid of a 16 bits only feature. I'd love a Rick Dangerous (1 + 2) level editor. And Gfx editor. Take the .dsk, edit the gfx and levels, save the .dsk, new game! Page created in 0.373 seconds with 84 queries.